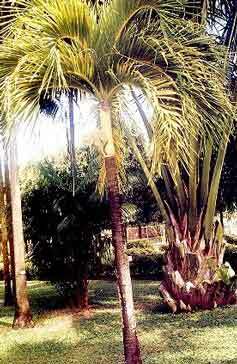 Description: Also known as Manilla or Adonidia Palm. Favoured for its neat habit and compact crown of arching, bright green feathery fronds. Its ornamental appeal is enhanced by large clusters of bright, glossy red fruit. Very cold sensitive.